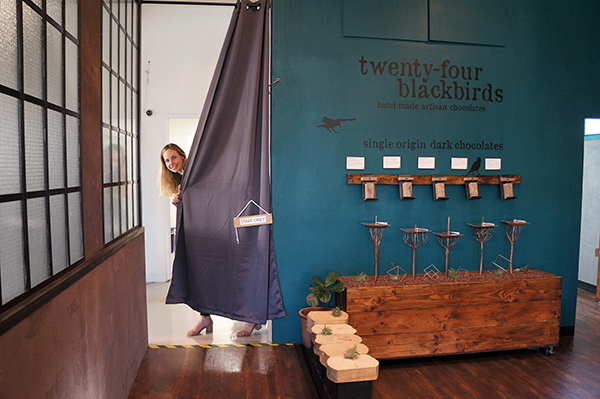 Santa Barbara Chocolate Factory Tour and Tasting: Twenty-Four Blackbirds. 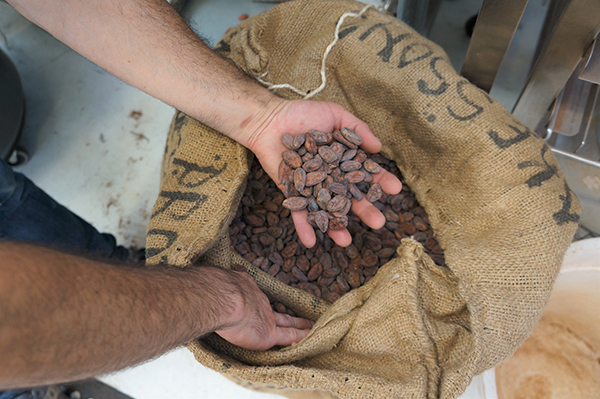 Take a tour of Santa Barbara’s only chocolate factory. Santa Barbara has its very own chocolate factory. In fact, it’s the only chocolate factory between Los Angeles and San Francisco! 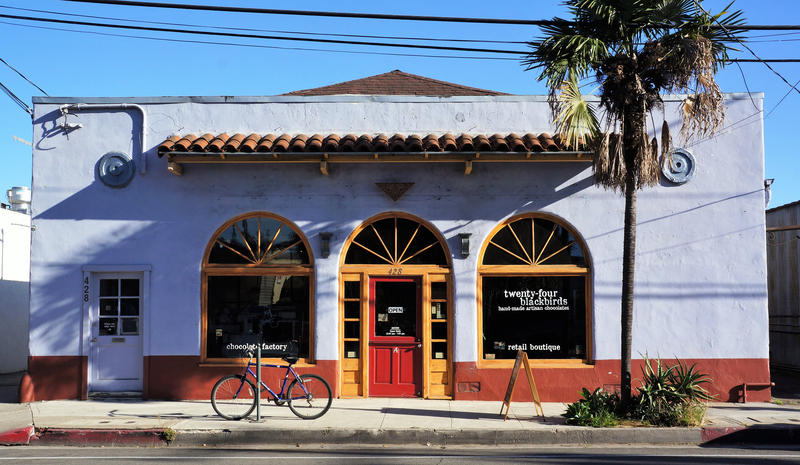 Tucked away in the ultra-cool Lagoon District, Twenty-Four Blackbirds Chocolates is roasting, cracking, crushing, and grinding cocoa beans into bars and truffles for over 400 retail customers nationwide as well as their very own retail store. Additionally, and this might be the coolest part, they offer a self-guided tour through the factory! 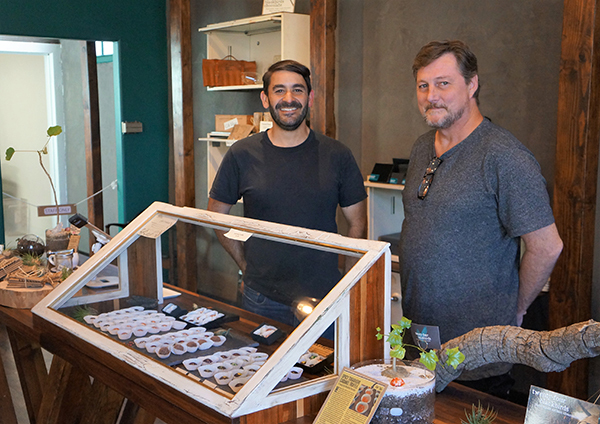 We met up with founder Mike Orlando and employee Mark Phillips at the factory and retail boutique for a tour and tasting. The facility is located at 428 E. Haley Street, a half mile walk or drive from Hotel Santa Barbara. Upon walking in the door we were hit with the incredible smell of chocolate, a complex chocolate scent that we couldn’t stop talking about. After introductions, we began the tour. 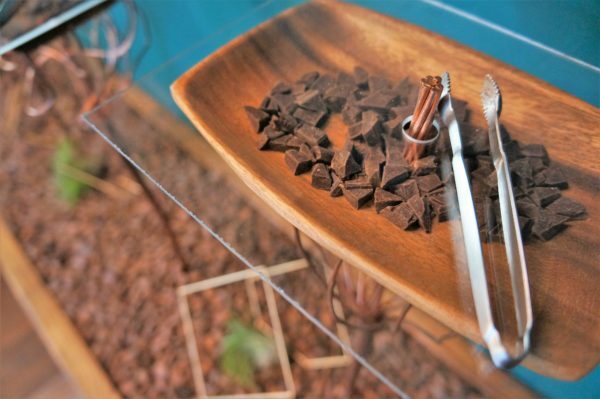 The self-guided chocolate factory tour is open to the public during normal operating hours. Visitors are given laminated cards and follow the pathway to the different areas of the factory to read about the chocolate making process from start to finish. 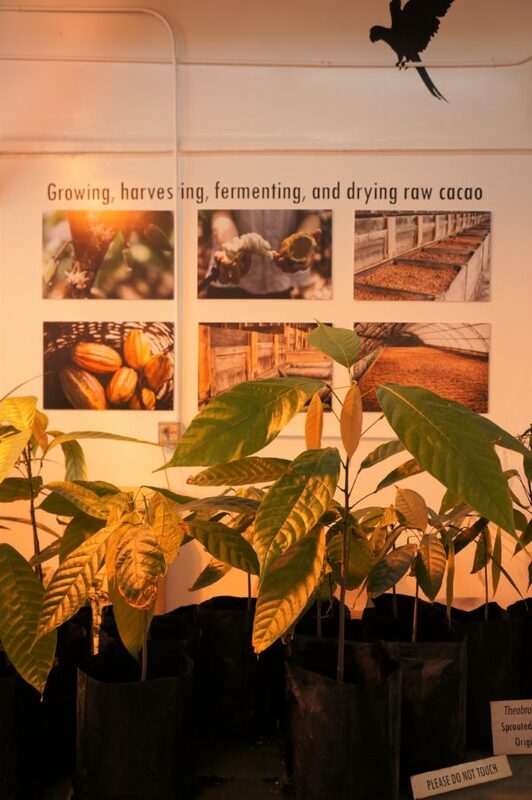 Visitors start with learning about the cacao growing process. 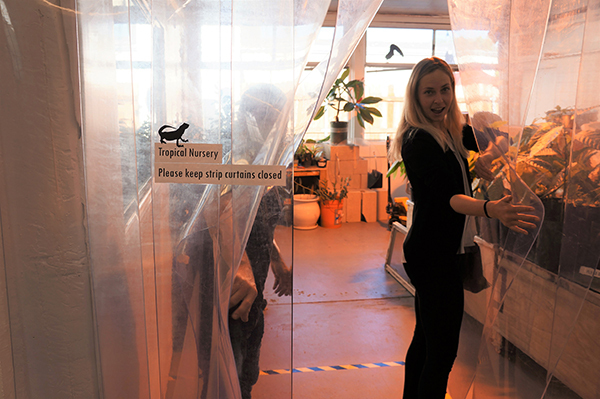 Mike has a special climate-controlled nursery to show visitors what the plants are like. While real plants grow in the factory, Mike sources raw, unroasted cacao from various tropical origins around the world. The raw cacao beans are then roasted in house. 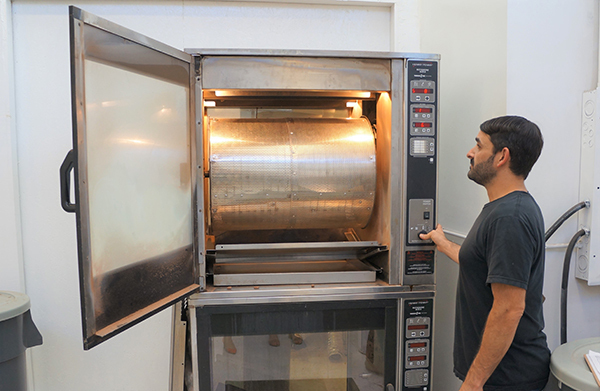 A large rotating drum evenly roasts the cacao beans to perfection. Roasted beans are crushed and sorted, separating the shell from the nib. 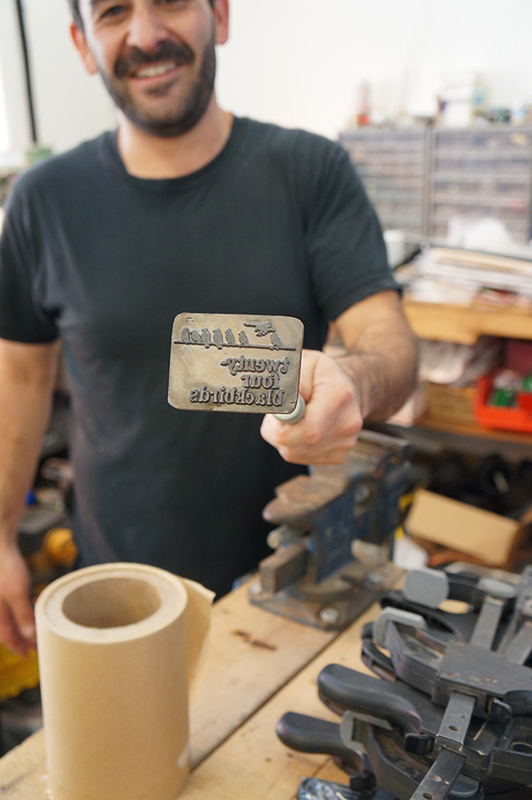 Mike’s proprietary equipment helps make this process run quickly and efficiently. The nibs are then ready to be ground, along with the sugar, and tempered, a complex process that ensures the chocolate has a smooth texture and melts when eaten. The chocolate is then packaged as bars or made into the most beautiful chocolate truffles and caramels. 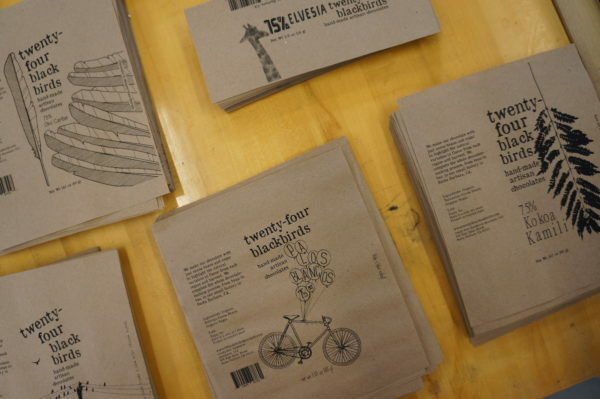 Everything is done in-house, including packaging and shipping. But what makes Twenty-Four Blackbirds so special is the pure passion Mike and his staff share for the chocolate making process and the attention to every detail. We ended the factory tour with a side-by-side tasting of the single origin chocolates they produce. We were surprised to taste such distinct flavors among the different 75% chocolate bars. Some flavor differences amongst the chocolates were subtle, while others offered a total counterpoint to what we had just tasted – citrus, floral, fruity – each a unique experience. 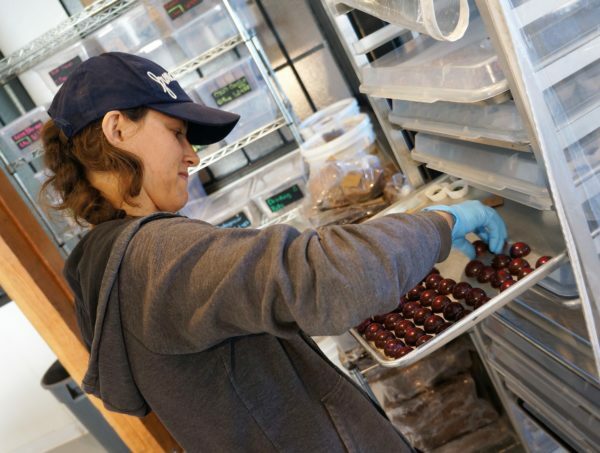 To take a factory tour at the only Santa Barbara chocolate factory stop by Twenty-Four Blackbirds during normal business hours, daily from 12:00 pm – 7:00 pm. Factory tours are $5 per person, but Hotel Santa Barbara guests get the special perk of taking the tour for free! Just let them know you are a Hotel SB guest when you arrive. Not a Hotel Santa Barbara guest? Tours are free with a $15 retail purchase. 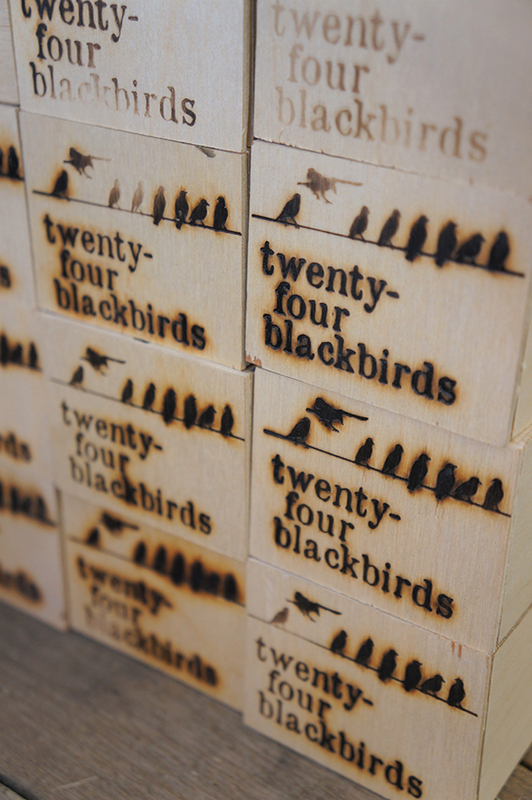 To learn more visit www.twentyfourblackbirds.com.